One of the most renewable & useful resources on the planet. 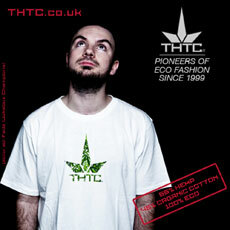 Save more than just money at TheHempCloud. We crawl ~ 1,447 different hemp stores to find you the best prices when shopping for hemp products. We are your hemp product search engine! I dare you to find another website that gives you access to this many hemp products from this many stores! In 1938, Popular Mechanics magazine called hemp the "Billion-Dollar Crop," and it was for a good reason. It's pretty unbelievable that the world is not taking advantage of all that hemp has to offer. A majority of people are looking towards a green future, where dirty fossil fuels are no longer needed. Fakes such as "clean coal" or natural gas are trying to vie for a greater market-share under the guise of being "clean energy". What it boils down to is that if there was a plant that could provide all of the hydrocarbons we need, then that would be the greenest option. Obtaining your fuel directly from a plant -- it does not get any greener than that! Hemp oil can be used to make bio-diesel, which will run in any Diesel engine as well even in conventional gasoline engines after a modification. The hydrocarbons that we know how to get from hemp could be used to create ethanol (race fuel) or could even be used a source of hydrogen for hydrogen fuel cell vehicles. One plant, producing just about every kind of fuel that we use for transportation. Hemp is also an outstanding source of nutrition. In general, I feel that people dismiss the fact that millions of people die each year due to malnutrition. While we are busy deciding what restaurant to choose from, people are honestly starving to death. Meanwhile, the possibilities of hemp are being overlooked. The vegetable oil that can be pressed from hemp seeds contains more essential fatty acids than any other plant. Fatty acids are important to our immune system as well as the heart. The hemp seeds are very high in protein; second only to soybeans. With it's nutritional profile, hempseed is the most complete single food source for humans. Plus, birds love it. Add some hemp seeds in to your bird feeder, and see which seeds they eat first. Since hemp is arguably the most nutritious food-source known to man, then why isn't it being sold at every single store? What do we see popping up instead? Inferior products like flax seed, hoping to cash in on the Omega-craze. Apologies for tugging at your heart-strings back there, but it is just ridiculous that hemp is being restricted from commerce. What should the hungry eat? Corn products? Please... Most of the corn grown in the United States is inedible anyway. Hemp grows in just about any climate, and fast. Really fast. A hemp plant can grow over twenty feet in one growing season. The efficiency with which the hemp leaves capture the Sun's energy and make use of it, puts hemp at the top of the list of most developed plant species. This tremendous growth-rate, makes hemp an excellent source of fiber that can be used as any other plant fiber, such as for making composite wood, textiles and paper. Why cut down a tree that has been growing for decades when you could just use hemp? With heights extending past twenty feet, the hemp plant needs a sturdy root system. This makes hemp and ideal plant to use to combat desertification, where grasses and small plants fight a losing battle to expanding deserts.